The Kern High School District (KHSD) held a community forum at West High School to discuss student behavior and school climate on the evening of Sept. 20. 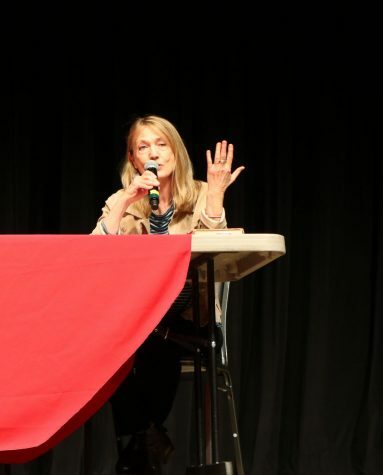 The forum highlighted the district’s efforts to implement new student disciplinary procedures which focus on ways to improve issues of student behavior rather than turning to disciplinary actions such as suspensions and expulsions. Evidence of district efforts can be seen through the new, district-wide program Positive Behavior Intervention and Supports (PBIS). “PBIS is a systems approach for establishing the social culture, and individualized behavior supports needed for schools to achieve both social and academic success for all students,” Schaefer said. Bakersfield High School principal David Reese shared the positive impacts PBIS has had on his campus. Reese credited the PBIS program for creating common expectations for students and illuminating common ways of dealing with them if they don’t follow the rules. Reese also stressed the importance of how the student is recognized when following the rules and doing the right thing, which created a feeling of comfort in the student knowing they are cared for. Also presented during the forum was data from a district-wide climate survey taken by 43,077 students two times last year. A majority of the questions addressed the well-being of students on campus. Other questions asked about the atmosphere, knowledge of where to find specific resources on campus, and the effectiveness of the faculty. When comparing surveys from the 2016-2017 and 2017-2018 school year, data provided by the district showed few significant changes among student responses. One of the most concerning statistics presented was 18 percent of all students felt unsafe at school within the last 60 days of taking the survey, which was a six percent increase from the previous year. 10 percent of all students said they did not go to school because they felt unsafe at or on their way from school at least once, which is a three percent increase. There were; however, a few slight improvements. 70 percent of all students responded that they feel like other students care about them, and 69 percent of students are happy to be at their particular school, both at a one percent increase. 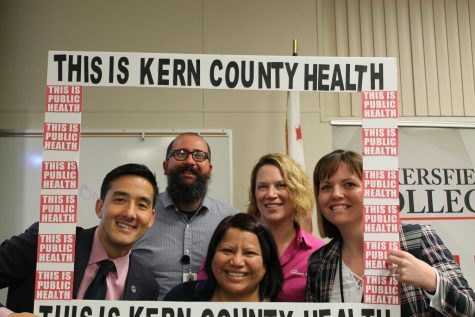 Brian Mendiburu, KHSD’s director of student behavior and supports, said the surveys give the district and particular school sites an inside perspective on current issues of the well-being of their students. Mendiburu explained how safety on campuses is a top priority from both a staff and student standpoint and feels with the help of PBIS and other programs in place that the district can expect to see more improvements in the near future.